“Because the kids don’t have alarm clocks?” I answered, lamely. I spoke to Prof. Talesnick about Engineers Without Borders (EWB), a global organization whose Technion chapter he leads. Talesnick holds the UNESCO chair for Sustainable Engineering in Developing Communities. EWB is not connected with the similarly-named Doctors Without Borders. Its mission is to join with local partners, mainly in developing communities, to implement sustainable engineering solutions, while widening the social conscience of its students and members, through low-budget high-impact projects. The Technion EWB chapter has eight ongoing projects, including water and energy projects in Ethiopia and the Negev and a path-breaking one in Namsaling, Nepal. 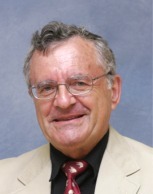 Prof. Talesnick spoke about the latter, an “anaerobic digester”, or biogas generator, with enormous passion. The answer? Biogas generators, which use bacteria, water and animal manure or human waste in an oxygen-free environment to generate hydrogen, carbon monoxide and methane that can be used for cooking. There are 200,000 such generators in Nepal. But in a preliminary trip to Namsaling, Technion students found that building them in villages was expensive and time-consuming. First, a pit is dug, filled with soil, then a dome is shaped over it, covered with concrete, and finally, the soil under the dome is removed. Technion EWB students invented a way to build biogas generators faster and cheaper, first using aluminum and Styrofoam (not readily available in Nepal), then using locally-available bamboo fashioned into large pie-shaped sushi mats. 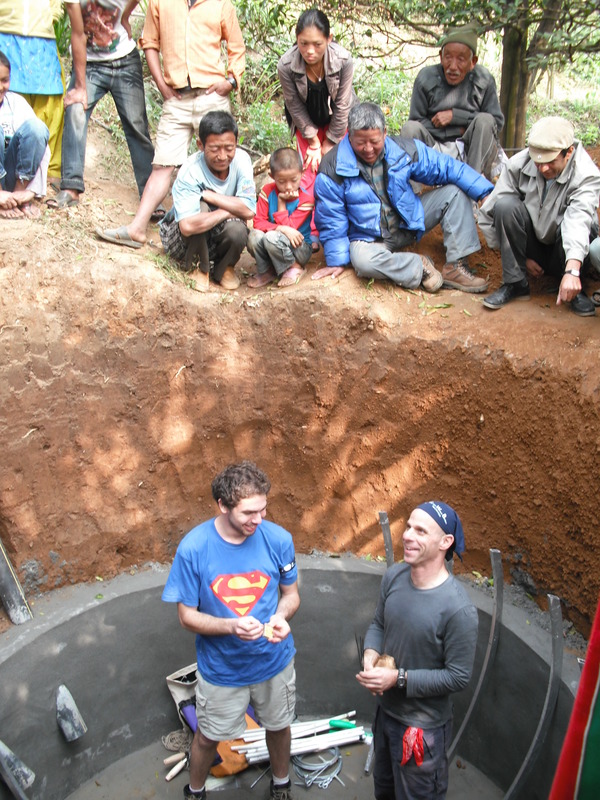 The team has built 60 biogas generators in Namsaling, and they hope to build 950. Each one is a household unit, able to convert 40-50 kg. (100 lbs.) of human and animal waste into 5-6 hours of cooking fuel daily. Each of these units saves 12,000 kg. (25,200 lbs.) of wood per family a year. That’s close to a dozen trees. The whole focus of EWB is to say, this is not about us (the visitors), it is solely about you, the village, the community, we have no political agenda, we simply want to help you help yourselves because it is the right thing to do and because we ourselves will learn and grow by doing so. Dyslexia – It Has an Upside! 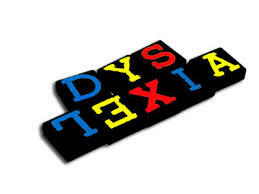 Over the years I’ve had many many students who are dyslexic. Dyslexia is “difficulty in learning to read fluently and with accurate comprehension”. Since undergrad and graduate studies all require heavy reading, dyslexic students have a huge handicap, beginning with simply doing well enough in high school to get in to college. Many of my dyslexic students developed their own methods and tricks for overcoming the handicap, and all had great determination to succeed despite the difficulty. I’ve given many of them oral exams, for example. Long ago, we knew that dyslexics populate fields like art and design in unusually high numbers. Here are just a few of the artists who are and were dyslexic: Leonardo da Vinci, Ansel Adams, photographer, Tommy Hilfiger, clothing designer, Pablo Picasso, Robert Rauschenberg, Auguste Rodin, Andy Warhol. Here are a few of the inventors who were dyslexic: Alexander Graham Bell, Pierre Curie, Physicist (1903 Nobel Prize), Thomas Edison, Albert Einstein, Michael Faraday. I’ve found that creative people have unique ability to “zoom out”, to see the big picture; apparently this is a talent that dyslexics have in abundance. Let’s be clear. Difficulty with reading is a major challenge. You can’t characterize dyslexia as a ‘gift’, that’s too glib and too patronizing. But once you understand the true nature of dyslexia, you can help orient dyslexics’ education in directions that build on their strengths. And if you yourself are dyslexic, you can both overcome the reading disability and leverage the advantages that dyslexia seems to confer. Edison and Einstein did. And by the way, so did George Washington. The Financial Pandemic Has Finally Ended! It took five financial crises, endless bailouts using our tax money, media wars against lobbyists, and Occupy Wall St. protests – but at long last, the global banking and financial services industry has been gotten under control. The ‘pandemic’ of inflated bloated revenues, at our expense, seems to have ended permanently. Thank heavens. 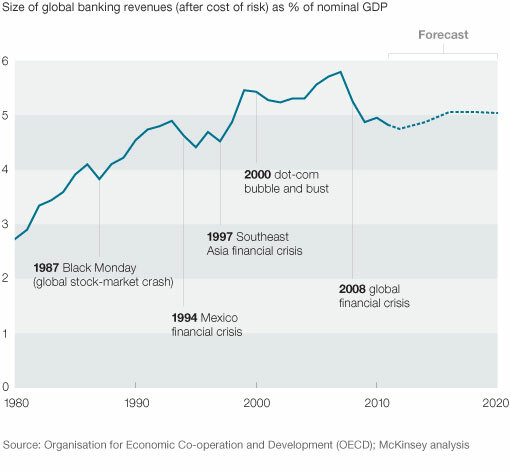 An article in the latest McKinsey Quarterly [Miklos Dietz, Philipp Harle and Tamas Nagy, “A new trend line for global banking”, McKinsey Quarterly May 2013] says that “after climbing for 30 years, the share of economic activity attributable to bank revenues fell in the wake of the global financial crisis. Looking forward, revenues oculd flatline at about 5 per cent of GDP through 2020 (the same growth rate as nominal GDP).” (See Figure). Banks’ waistlines won’t grow, but they won’t shrink either – they’ll stay the same, after doubling as a proportion of GDP from 3 per cent to almost 6! That’s good news. It means that in order to compete global banks will have to do what local Czech banks have been doing – innovate, give better service, listen to customers, and above all stop acting like drunken gamblers in derivative markets they don’t understand. (See my previous blog). I wonder, though, why it took us 30 years and five crises/panics to stop the pandemic. Some 35 years ago, a Texas entrepreneur and devoted Christian named Don Stephens and his wife Deyon had an idea. Let’s create hospital ships, he said, and sail them to West Africa, to treat illnesses there that go untreated, while in the West they’re cured in hours. Stephens was inspired by the international hospital ship S.S. Hope. What emerged is a fleet of three hospital ships, including Africa Mercy, a 500 ft. ship with 8 decks and crew of 450, including 90 nurses, 15 surgeons and 8 operating rooms. Africa Mercy docks at ports in West Africa. In a recent 5 month period at port in Togo, 281 benign facial tumors were removed (causing terrible facial distortion, including ostracism, and often threatening death by strangulation), 34 cleft palates were repaired, and 794 blind people were given restored sight through cataract surgery. What is Stephens’ business model? Companies sponsor the ships, and people PAY to work on it, including nurses and doctors, in part by raising donations in their home communities in the U.S. 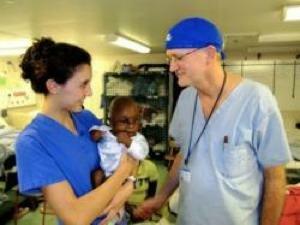 Surgeon Gary Parker has served on the ship for 26 years! And is raising his two sons on it, together with his wife. Nurse Alley Chendra also met her husband on board (“we call it ‘The Love Boat’, she says). I still find it angering and unacceptable, that a 30-minute routine operation to restore sight by removing cataracts and replacing foggy lenses with plastic ones, should be unavailable to many of the world’s poor. But unlike me, Don Stephens did something about it. He chose to act, rather than sink into despair over his son. Some of the pictures of the African children and adults, faced terribly distorted by benign massive tumors, are hard to look at. But African Mercy is doing something about it. It was recently featured on a segment of the CBS TV program Sixty Minutes. Once, people and companies paid taxes to governments, to support worthy social investment. This has been going on for a very very long time. Why have governments just now woke up to it? Why is Apple’s CEO being called to testify in Congress now? Because governments are strapped for cash and realize they are losing billions to the corporations. What is going on? Simple. Governments compete with one another to attract businesses. Ireland did this superbly well and built a strong economy on attracting US companies. To do this Ireland had to offer super low corporate taxes. 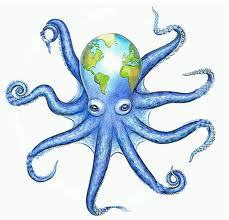 So, today, governments pay taxes to global corporations, rather than vice versa, because global corporations are able to play one government against another. Add to that creative accounting. Starbucks makes huge profits in Britain, but pays almost no tax there, because the revenues are sheltered in low-tax countries. Note: This is all legal! It’s perfectly legal according to the law. This is what Apple CEO Tim Cook shouted in Congress. The question you and I are asking is, WHY is it legal? Because it sure isn’t just that ordinary people pay stiff taxes but wealthy companies (and their wealthy shareholders) pay little or none. It is increasingly clear that both the United States (Wall St.) and Britain (London), two key financial centers, are fumbling the ball, in enacting new systems to regulate their banks and financial services providers. In both countries, the lobbyists, moneyed interests and scare tactics (‘over-regulate us and you’ll have to bail us out again’…) have emasculated planned stiff regulations. That is why the experience of a small Central European country, Czech Republic, with 10 m. people, is so interesting and so relevant. I’m in Prague right now, to speak at a workshop on innovative thinking. Yesterday’s New York Times has a fine piece on Czech innovative thinking in banking. Here is the crux: Czech banks went into crisis a decade ago (before the global meltdown). The authorities learned their lesson and prevented a replay in 2008. “The industry is in good shape; the sector is stable and has not needed any assistance in the recent crisis,” said Jiri Busek, an analyst with the Czech Banking Association. “It’s quite a unique position in Europe, and we are grateful for it. We are stable, healthy and profitable.” The sector went through a banking crisis in the late 1990s. Several banks failed, one major bank had to be acquired by a competitor and larger state-owned banks were privatized after bad loans were cleaned from their balance sheets. “We had this recent experience, and thus risk management here is very conservative, Mr. Busek said. The Czech National Bank is now mandated to supervise every player in the financial industry, whether investment brokers, insurance companies or banks. Yet, over all, the financial sector has kept growing: Year on year, lending was expanding at a 4.6 percent rate as of the end of March, up from 2.4 percent in 2012 and a low of 1.3 percent in 2009. “The sector is still attractive for newcomers,” Mr. Busek said. “After quite a few years of stagnation, several new banks opened in the last three years. Listen to this account of an innovative new Czech Bank. Heard of any similar innovations on Wall St.? London’s City? No? Banker and client sit next to each other and share a common computer screen??? How simple is that! Hmmmm… Have Wall St. and City bankers simply gone back to the bad old days? Perhaps we should send them all to Prague for six weeks… at their own expense. Compulsory. Economists are Loopy – And So Is the World! I regularly respond to a questionnaire sent out by Ifo, a German think tank, in collaboration with the Paris-based Chamber of Commerce. They sum up the results in an interesting diagram. (See above). 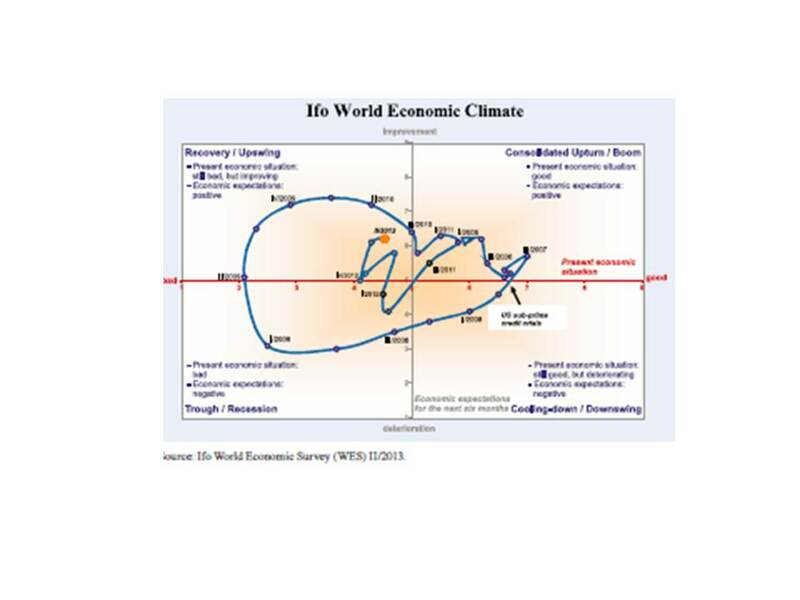 The x-axis represents the current economic situation. The y-axis represents expectations for the next six months. What we see is this: a huge clockwise loop, The Great Recession, initiated by the US financial crisis; then, a second smaller loop, beginning in the 2nd quarter of 2011. (First, the economy sinks and so do expectations; then expectatoins improve, and finally the wave of optimism helps the current economy improve too). We are now in a very weak recovery, stronger in the US than in Europe, and much stronger in Asia than anywhere. What happened to create the second loop? Why did we have a second, smaller repetition of the Great Recession? Because of us economists, and because of the financial markets. Both preached austerity – budget cutting, spending cuts, tax hikes, tightened belts. This, at a time, when neither businesses nor consumers are spending, and exports are flat, so if the government stops spending, there is no demand to support growth. Bad idea. Fortunately, in America, political gridlock between Republicans and Democrats prevented sharp budget cuts. This is the main reason why the US economy is doing better than the EU. It may not last. The mandated ‘sequestration’ cuts are already being felt in the US. It’s bad enough when the whole world does a terrible loop owing to economists’ preaching of unfettered free markets, turning loose Wall Street’s criminal speculative financial gambles. It is double insult when we REPEAT THE WHOLE THING again, albeit on a smaller scale, this time for a different reason – reckless austerity plans, rather than financial gambling. By the way: prepare for a new loop — because Wall St. lobbyists have persuaded the US Commodities Exchange Commission to weaken stiff planned regulation of derivatives trading. As a Silicon Valley prayer bumper sticker says, “Oh Lord — give me one more bubble.” They may get their wish. I’m embarrassed to be an economist these days, even a retired one. When asked my profession, I might just say, serial killer. It’s roughly on a par. Kill the Ump? No – Just Fire Him! “Kill the ump! 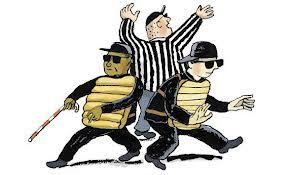 The ump is blind! ….” You hear these shouts often at baseball games. As in football (soccer), decisions of umpires and referees are often blatantly wrong, revealed by slow-motion TV replays, yet UEFA refuses to succumb to technology (which, for instance, has hugely improved line calls in tennis), and so does baseball, mostly. Solution? A greatly underused principle of innovation: Subtraction. Bad umpires? Get rid of umpires altogether. A graduate student at the southern U.S. university The Citadel suggested, two years ago, to his marketing professor Mike Veeck (grandson of legendary Bill Veeck, who owned the moribund St. Louis Browns), to get rid of umpires. Let fans call balls and strikes, with placards (“ball!”, “strike”). Let fans all “safe” or “out”. Bill Veeck once had fans manage his team, while his manager sat in street clothes in a rocking chair atop the dugout. The Browns, who were awful, won that day, 5-3!). Mike Veeck owns the Gary Southshore Railcats baseball team, which plays in an independent league. He tried his students’ idea and eliminated umpires altogether. He had the catchers call balls and strikes. He had Little League players form a jury, along the 1st and 3rd base lines, to call close plays as “safe” and “out”. A small problem arose. The Little Leaguers got bored and left after the sixth inning. But overall, the experiment was a success. And it happened in a week when Major League Baseball umpires made two huge mistakes. Subtraction is a powerful tool for innovation. Instead of adding stuff – get rid of stuff, especially stuff you think is absolutely essential. Practice subtraction by removing an essential element from a familiar product (e.g. remove the wheels from cars), and then see what can be done with the result. Umpireless baseball? It works. My version is professor-less college. Get rid of the business school profs. Let the students teach each other. They’ll do it far better, and far more interesting. Is anyone out there willing to try it? By the way, the late Bill Veeck (whose autobiography: “Veeck, as in ‘Wreck’, is wonderfully entertaining) once had a dwarf, Eddie Gaedel, in his team’s lineup, and had him bat. Gaedel was 3’ 7” tall. He walked on four consecutive pitches. The result was a rule change – you cannot play dwarfs in major league baseball anymore. Source: “Safe or out? Better let the crowd call it”. Global New York Times, Sat-Sunday May 18-19, p. 13. What, Are You Blind? Actually – Yes! A pole vaulter sprints down the runway and misses the slot that anchors her pole prior to the vault. What, are you blind? says a track official curtly. Yes, the pole vaulter answers. I am. This never happened. But it could have. Blindness seems liks an insurmountable obstacle to sprinting down a runway, planting a pole in a precise spot, vaulting over a bar 12 to 15 feet high while turning your body 180 degrees with precise timing. Charlotte Brown and Aria Ottmueller are several visually impaired – virtually blind. Yet Brown has pole vaulted 11’ 6” and hopes to break 12 feet soon. She is a sophomore in high school, 15 years old. 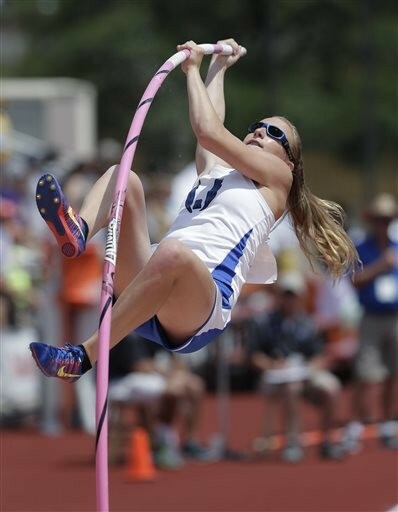 She and Ann Ottmueller, who is 17, will compete in their state (Texas) track and field meets in the pole vault. “You can’t be afraid of what you can’t see,” Ottmueller said. “[In the air], for a few seconds, nothing is wrong in the world, and nothing else matters,” Brown said. Each of us builds our own obstacles, our own barriers, our own reasons why we cannot do something, and why we fail when we try. These self-created obstacles are far higher, heavier and thicker than any the world itself creates. From two blind pole vaulters, we learn that anything is possible, if you want it enough and if you believe enough. Here is a “complete the sentence” IQ test. 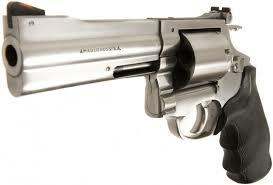 “The only thing that stops a bad guy with a gun is…”. Since everyone is either a bad guy, or a good guy, in America, and since the bad guys mostly HAVE guns, the solution, according to the NRA, is to give every good guy at least one gun, preferably a semi-automatic with 100-bullet clips, so that you can mow down hundreds of bad guys at one time. But – is there any evidence supporting LaPierre? Well, now. Here is the evidence. * 1. “every time a gun in the home was used in self-defense or a legal shooting, there were four unintentional shootings, seven criminal assaults or homicides, and 11 attempted or completed suicides.” Oops. 2. “..a gun is 22 times more likely to be used in a criminal assault, an accidental death or injury, than it is for self-defense.” Oops. 3. In 2010, 31,671 people were killed by guns in America, 73,505 were treated in emergency rooms for nonfatal gunshot wounds, and 337,960 nonfatal violent crimes were committed with guns. Of the 31,671 dead, three of five were suicides, and the vast majority of the rest were homicides by people who knew each other. No other Western democracy can come close to matching those 31,671 deaths by gunshots. Don’t confuse the NRA with evidence and facts. All those facts come from Commie socialist left-wing traitorous scumbag liberals anyway. * Source: Gun Science, Scientific American, May 2013, p. 69.